In order to take payments from your attendees you’ll need to be set up with a payment processor. Ticket Tailor allows you to use either PayPal or Stripe, and both platforms allow buyers to pay with credit and debit cards. In PayPal’s case, the buyer can also use their existing PayPal balance. 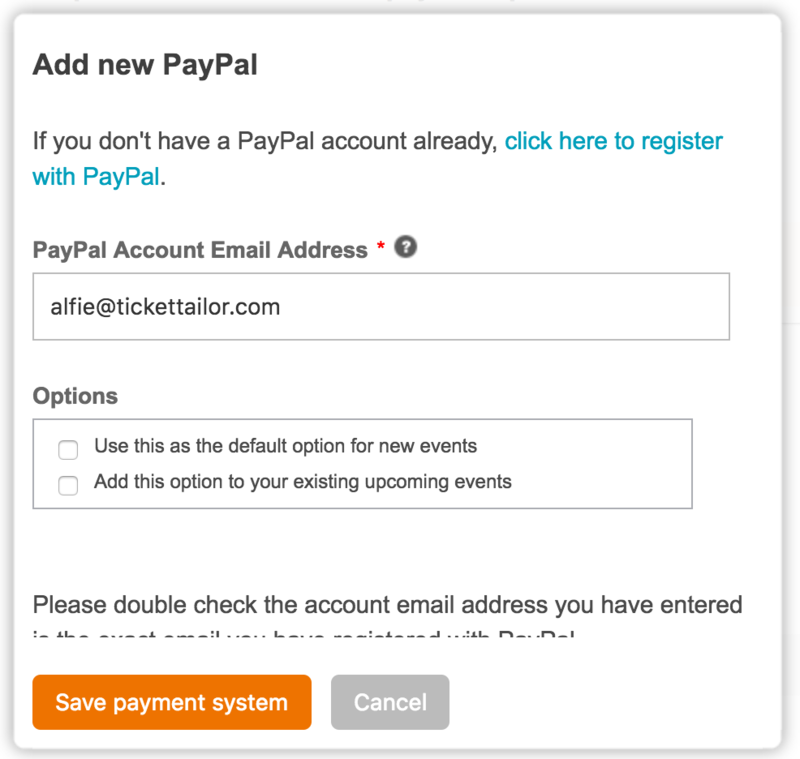 This tutorial will show you how to connect your PayPal account for use with Ticket Tailor. From the Box office setup section of your dashboard, choose Payment systems from the side menu. 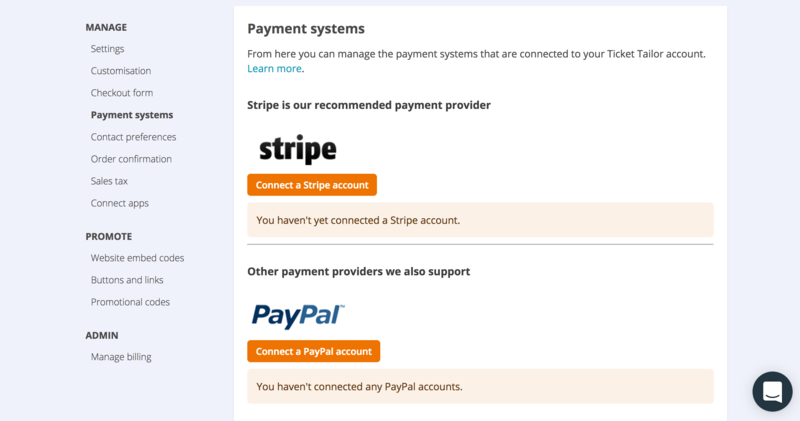 Below the PayPal logo, click the orange button marked “Connect a PayPal account”. If you don’t already have a business PayPal account set up, you can sign up for one here. When you do, we suggest running through PayPal’s verification checks (including email and bank verification) as this will increase the amount of money you’re able to receive. When you have a PayPal account set up, enter the email address associated with the account in the PayPal Account Email Address box. When you’re ready, click the orange “Save payment system” button and your account will be connected. Payment processing fees are applied by PayPal. You may receive a PayPal notification of payment but not an order confirmation from Ticket Tailor. This can occur if Ticket Tailor fails to receive a notification from PayPal stating that a purchase was made (usually this happens automatically). Login to your PayPal account and click Profile > IPN settings. Make sure that IPN is enabled. PayPal may ask you to enter a URL. If so, use https://www.tickettailor.com/ipn.